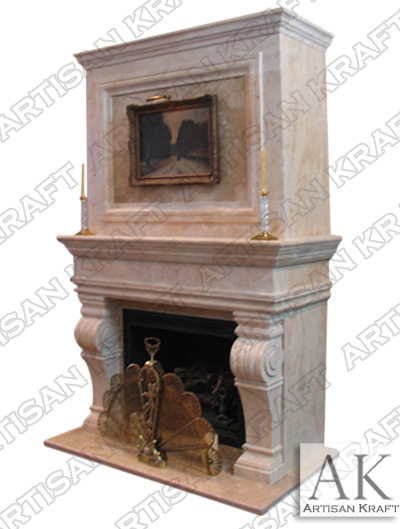 The Melrose travertine fireplace overmantel is pictured here in antique beige travertine. Click on the portfolio to see more pictures of the Melrose fireplace. This surround sits 18 inches off the upper mantel and 24 inches off the wall at the mantel shelf. Beautiful corbel legs sit right against the firebox opening.